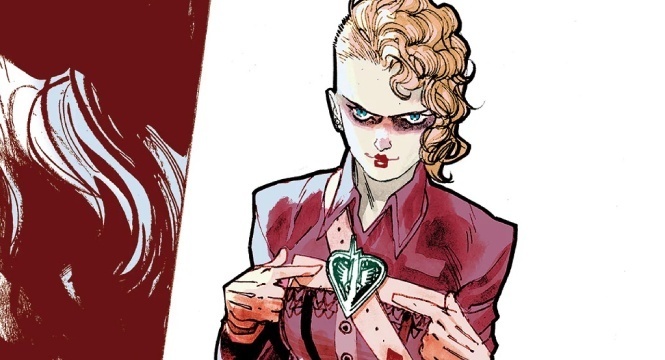 Rachel Skarsten cast as Batwoman's arch-nemesis, Alice – AiPT! Alice! Alice! Who the f*** is Alice?! Rachel Skarsten, that’s who, as Deadline reports that she’s been cast as Alice, the main antagonist in the upcoming Batwoman series. Interestingly, she’s got DC experience, as in 2002 she played Dinah Lance/Black Canary in Birds of Prey. Alice is Batwoman’s primary enemy and is the leader of the Wonderland Gang, inspired by Lewis Carroll’s Alice in Wonderland. She swings “unpredictably between maniacal and charming” and she’s “made it her mission to undermine Gotham’s sense of security.” She first appeared in Detective Comics #854 in August 2009. Alice was created by Star Wars: Shattered Empire’s Greg Rucka and Sandman: Overture artist J.H. Williams III. Batwoman centers around Kate Kane/Batwoman, an openly gay, highly trained street fighter who, as Batwoman, aims to ‘snuff out the failing city’s criminal resurgence’. She’s played by Ruby Rose, who first appeared as the costumed hero in The CW’s 2018 crossover, Elseworlds. Batwoman airs later this year on The CW.